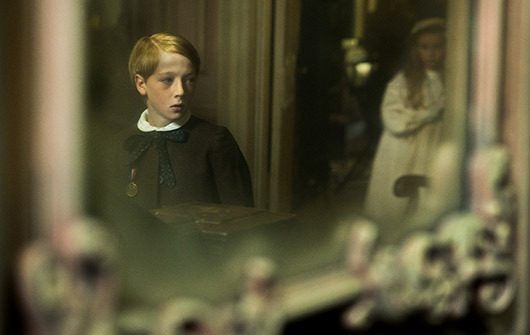 Elegant and engrossing, The Little Stranger spins a yarn of gothic drama in the uneasy tone of Henry James’ The Turn of the Screw. Set at a measured pace, the atmospheric mood piece, based on the 2009 novel by Welsh author Sarah Waters, unfolds dissimilar from its companions in the gothic horror genre. Rather than inundate the viewer with a prevailing sense of supernatural dread, or employing haunted houses and mysterious specters in a commercially gratifying fashion, the melancholic narrative explores its complex characters in their marked dejection. At the center stands Hundreds Hall, a crumbling 18th-century country estate in Warwickshire, England, and once the area’s premier location for high society gatherings. In shambles following the Second World War, the decaying manor reflects the status of the gentry who inhabit it, a standard trope of gothic horror. 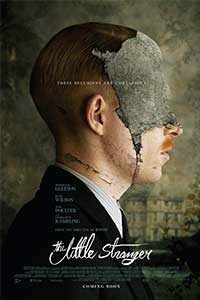 Clinging to their former glory, the Ayres family suffers a procession of misfortunes of unknown and perhaps unearthly origin, but the dramatic substance of The Little Stranger far outweighs its genre trappings. The adaptation by screenwriter Lucinda Coxon marks a departure for Irish director Lenny Abrahamson, whose varied career since his 2004 debut Adam & Paul has not conformed to any set trajectory, aside from his work often taking place in a modern setting and avoiding typical genres. Most recently, his eccentric SXSW comedy Frank (2014) showed his aptitude for alternative music and weighted comedy, while his breakthrough on Room (2015) earned him widespread acclaim and awards consideration. The Little Stranger is just that, a small and somber experience with a peculiar style, and like most of Abrahamson’s work, it’s difficult to define. 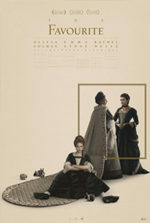 In one sense, it’s a costume melodrama about manners and class. In another sense, there’s a pervasive sense of something other-worldly taking place before us, but the director avoids spelling out the origins of the haunting, or even the characters themselves, in absolute terms. Elusiveness and restraint define both Abrahamson’s approach and the identities of his characters. Our unreliable narrator and protagonist is Dr. Faraday (Domhnall Gleeson), a stiff chap of modest upbringing who, as a child, admired the Ayres home at Hundreds Hall. Now a practicing medical doctor in 1947, he’s called to the estate to examine the family’s nervous young maid, Betty (Liv Hill), their sole attendant. Betty believes the house is haunted, presumably by Suki Ayres, who died shortly after Faraday first set his eyes upon the home as a child, long ago. Ever since, Faraday, too, has been haunted by a childhood obsession with Hundreds Hall, with equal measures of admiration and resentment. His mother, for instance, was a former domestic in the home, and his one occasion to visit the interior was a formative memory, replayed throughout in Faraday’s mind. After so many years, however, the manor has lost its arresting sophistication. Most of the rooms remain unused or poorly maintained, while the memory of the late Suki has scarred the family forevermore. Suki’s mother, Angela (Charlotte Rampling), inhabits the hall with her two remaining children, both adults. Roderick (Will Poulter), the eldest, was severely burned in a plane crash in the war, and Caroline (Ruth Wilson, excellent) seems trapped by the increasingly downtrodden condition of her home and family. During his visit to Betty, Faraday offers to help Roderick with his limp, using a new technique that will supply the doctor with a worthy academic study. Meanwhile, he becomes close to the Ayres family, particularly the droll and disillusioned Caroline, though his motivations prove suspicious and quietly desperate, if not entirely masked by Gleeson’s mysterious, stoic expressions throughout. It’s a wonderful performance of understatement than lends itself to multiple readings. Audiences will have to decide for themselves if Faraday’s self-loathing and class inferiority compel him to some horrific action, or if the events of the film occur separately from, unconsciously because of, or in alignment with his guarded emotions. Gradually, the Ayers family succumbs to forces either of their own doing or because of some unnatural force. Roderick, an alcoholic fallen into despair over his appearance and shell-shocked mind, falls into madness. The family dog uncharacteristically bites a young girl, leading to a saddening resolution. Angela begins to hear and feel the presence of Suki in Hundreds Hall, and weird happenings seem to confirm as much. Betty certainly believes the house to be haunted, whereas Caroline, who begins a hesitant romance with the increasingly creepy Faraday, is less convinced. And no matter how cliché the notion of a location reflecting the characters may be, production designer Simon Elliot creates a magnificently broken space, filled with dusty furniture, flaking paint, and worn ornamentation. The palette used by cinematographer Ole Bratt Birkeland consists of musty ochres, rotten greens, and moldy umber, while his frame often settles on a face in a close-up of such narrow focus that it’s as though we see them through the tunneled perspective of someone with a warped mind. Unfortunately, The Little Stranger has been advertised all wrong. Released by Focus Features, the film’s sensational trailers play-up the allusions to things that go bump in the night, suggesting it’s the next in line after The Others (2001), The Conjuring (2013), or Crimson Peak (2015). 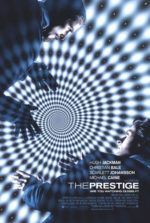 But audiences taking their cue from the promotional ads, who enter looking for jump-scares or the appearance of CGI poltergeists, will feel robbed. Nothing so straightforward occurs here, which is no fault of the material or director; rather, it’s the fault of the distributor for setting unreasonable expectations. 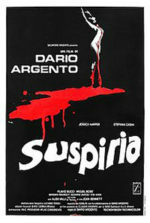 Enjoying the film, then, requires a realignment of any preconceived notions one may have about it. The manner of the storytelling has more in common with Olivier Assayas’ brilliant Personal Shopper from last year, where the supernatural forces at work remain ambiguous, if not entirely imagined, and ultimately part of a larger, more engaging look at the protagonist. It’s a spellbinding tale that demands patience and consideration, whose approach never uses overt manipulation of the audience with horror devices. Instead, Abrahamson captures the viewer in a chilling and perplexing narrative that nonetheless feels satisfying in its many ambiguities.